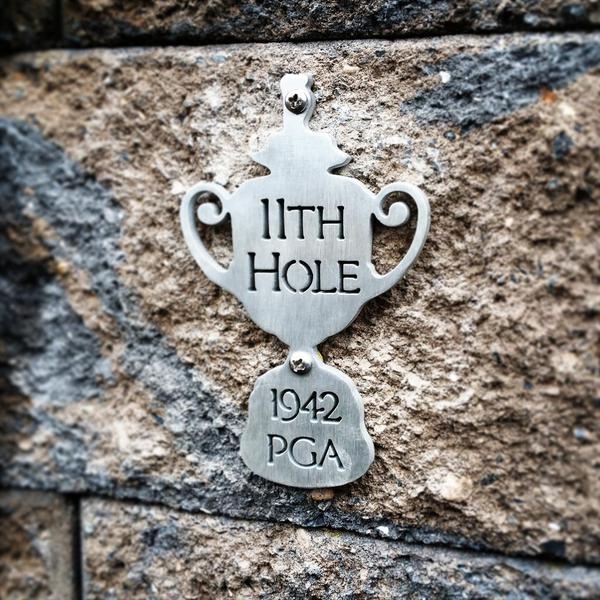 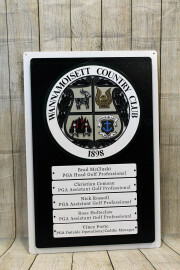 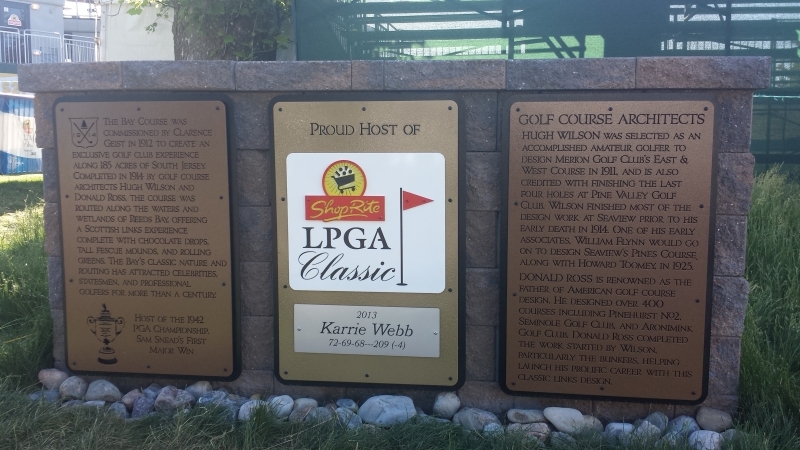 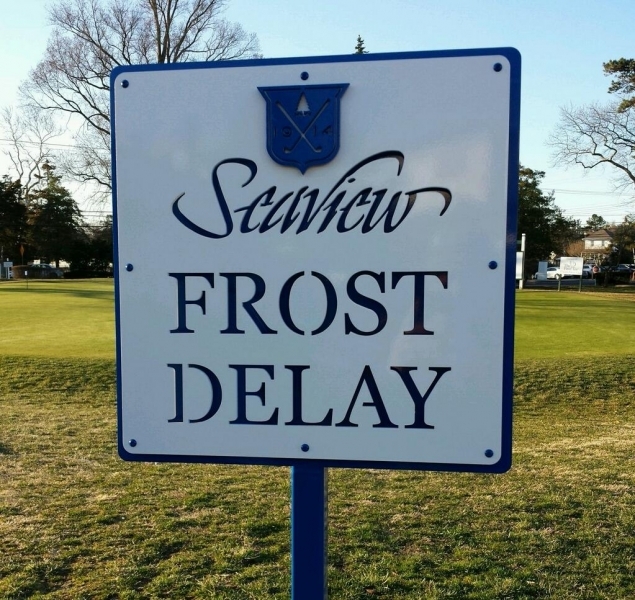 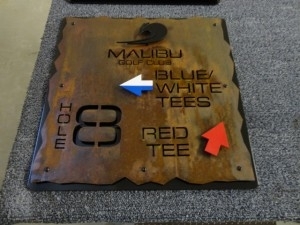 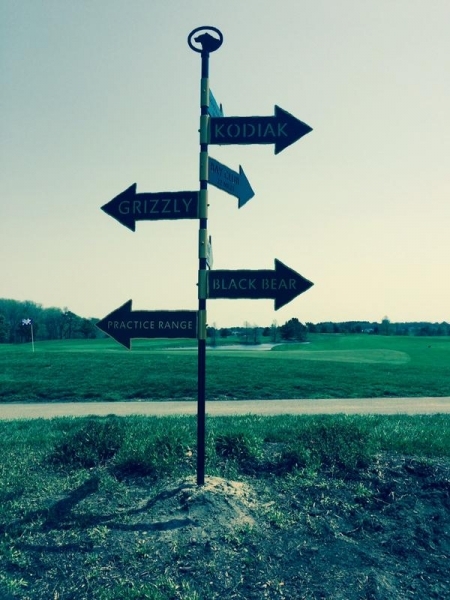 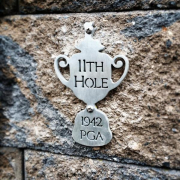 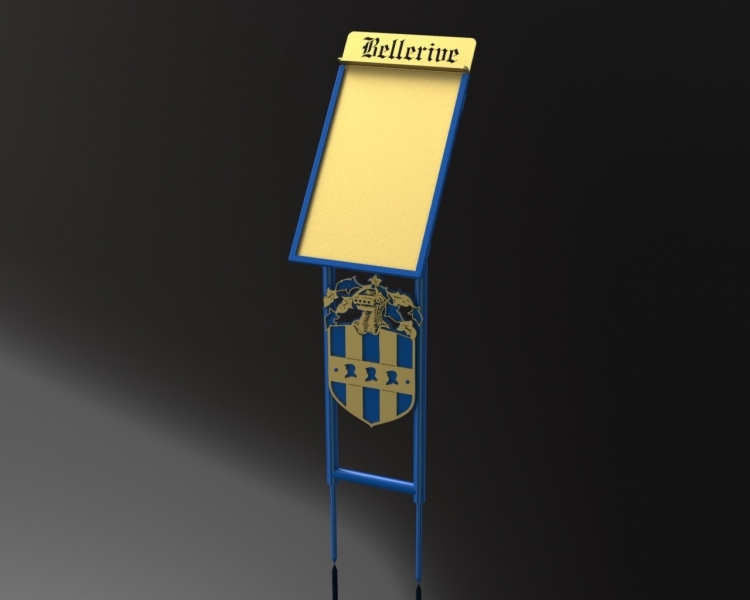 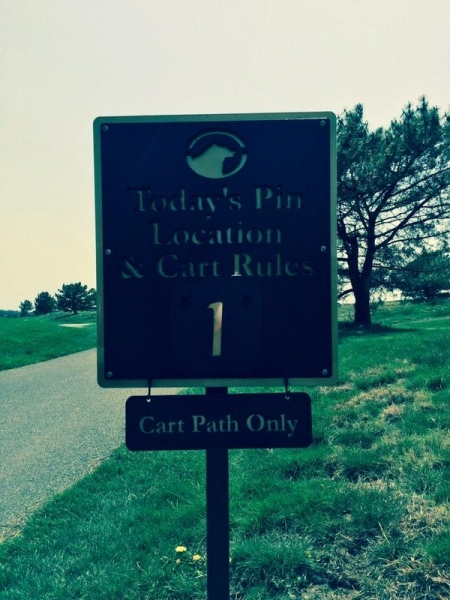 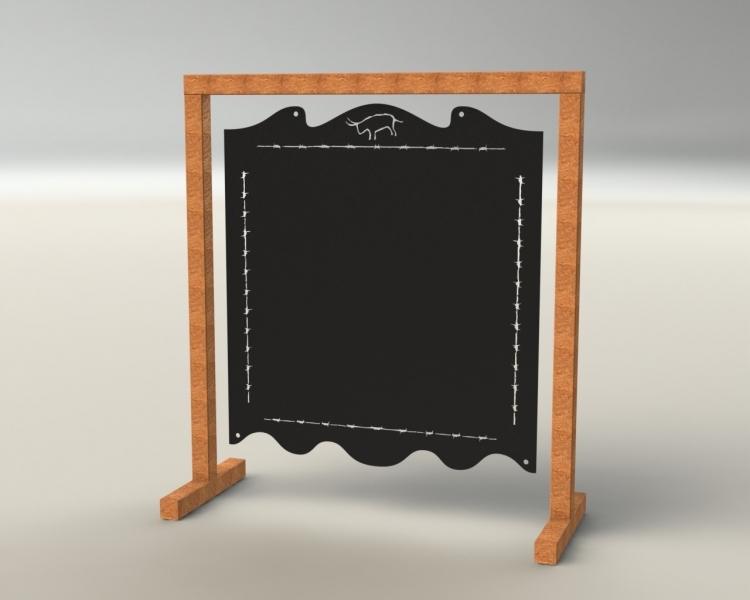 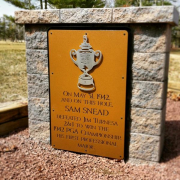 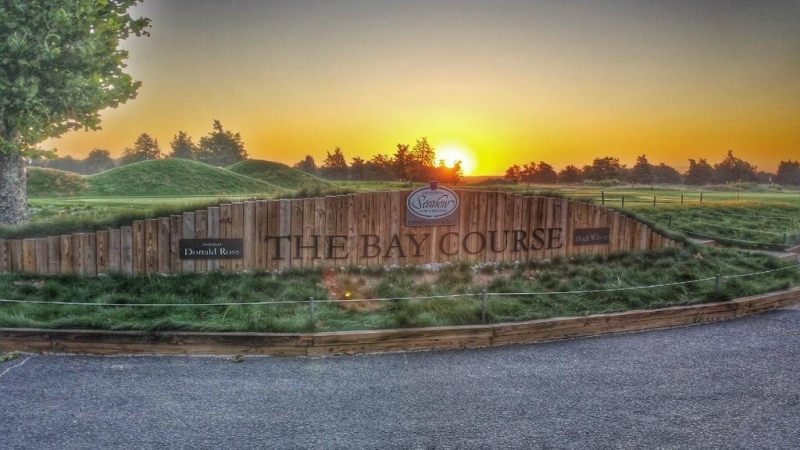 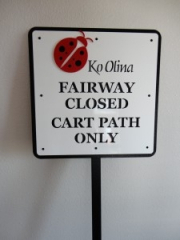 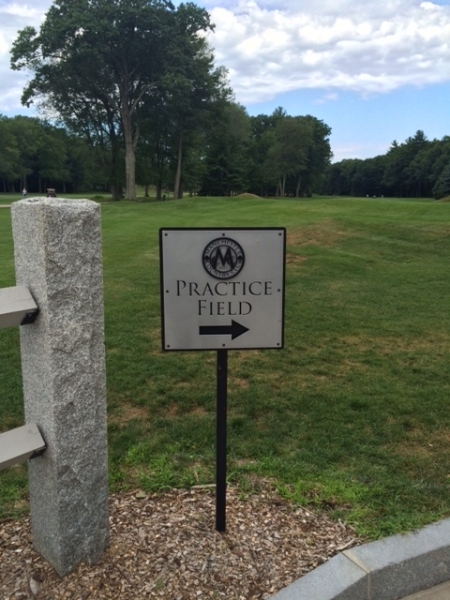 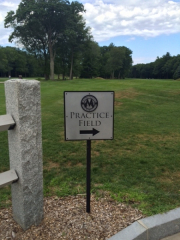 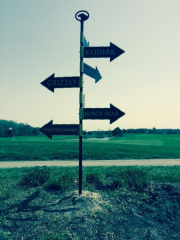 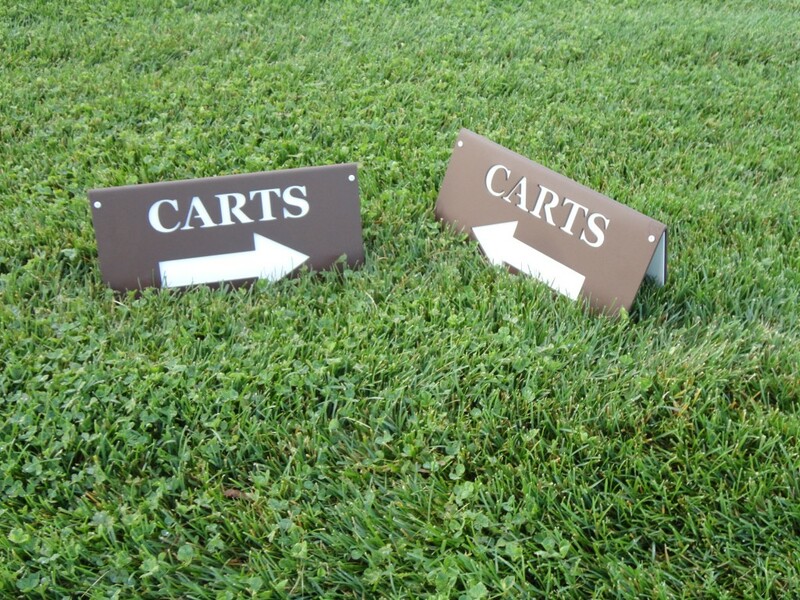 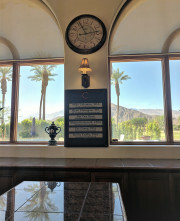 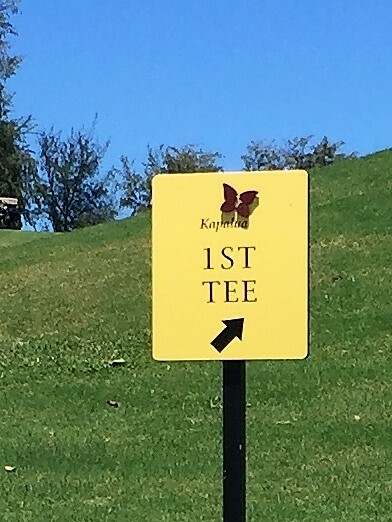 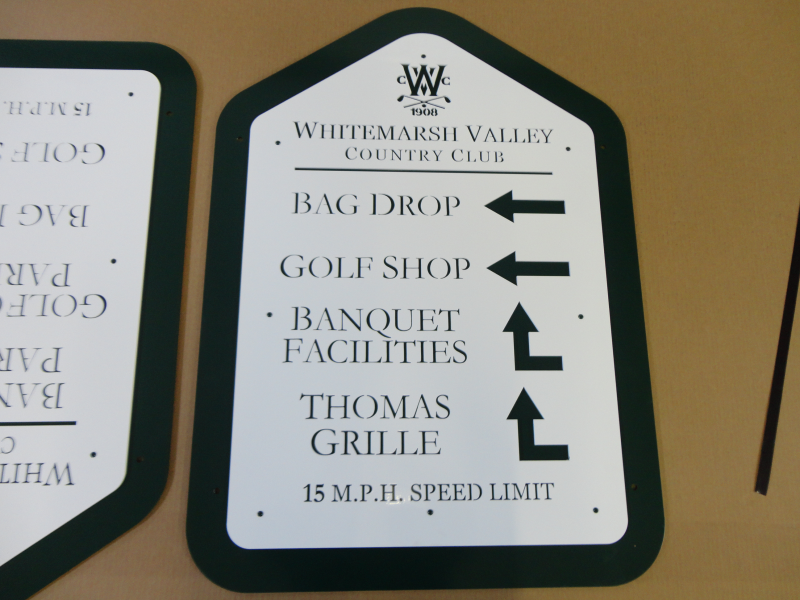 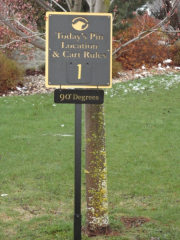 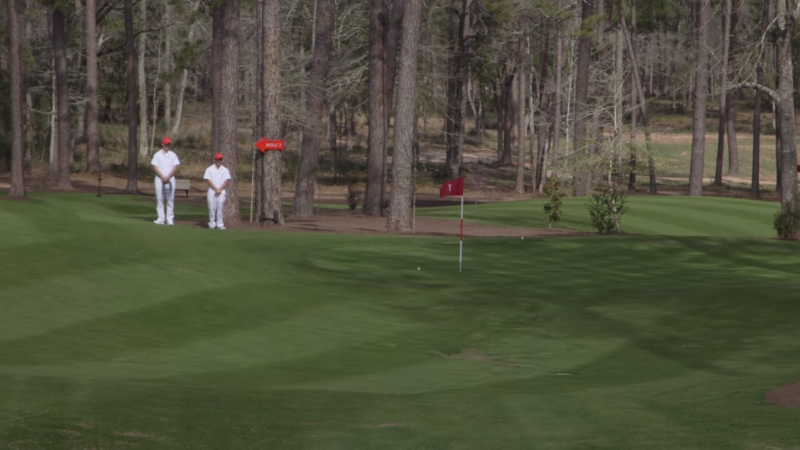 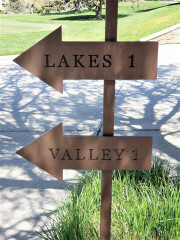 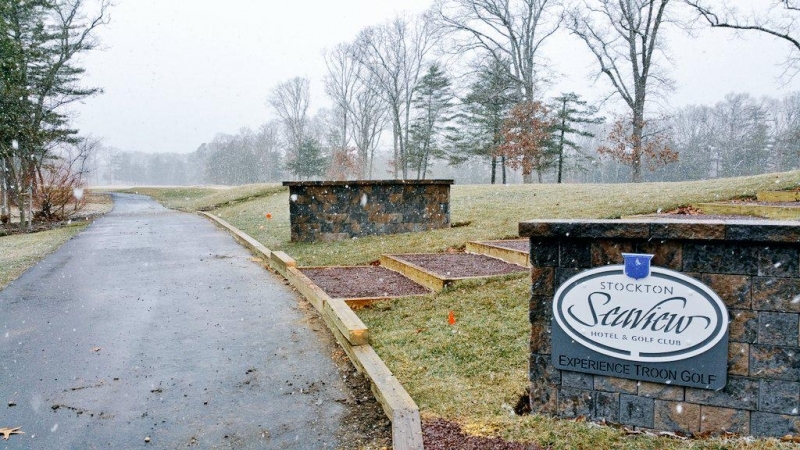 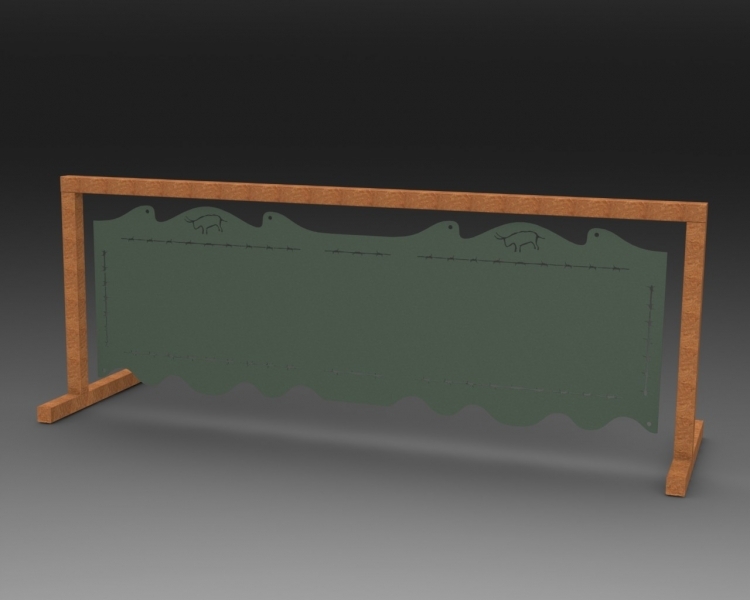 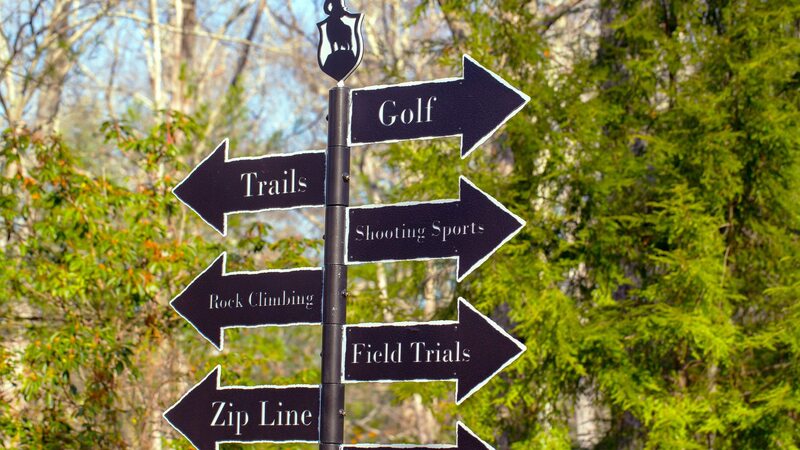 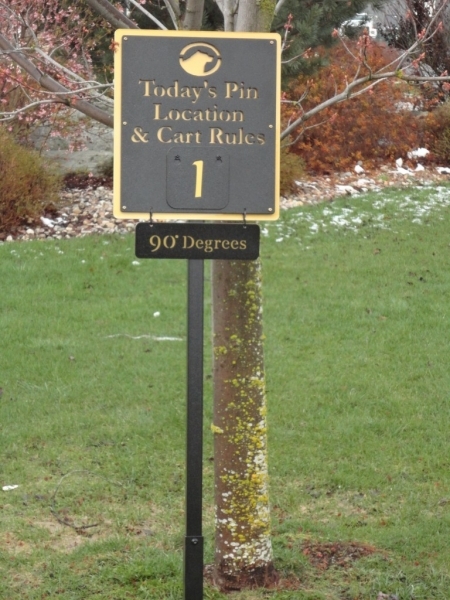 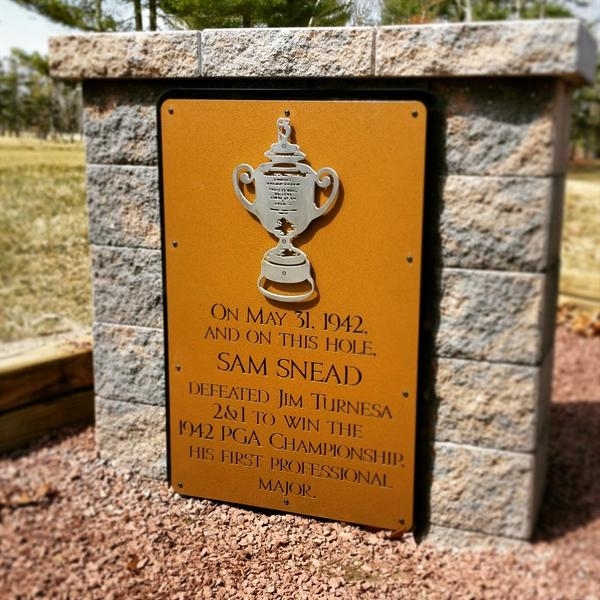 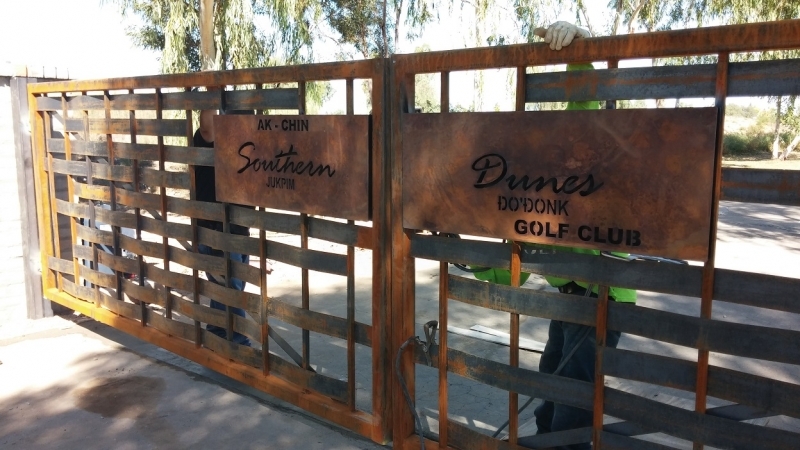 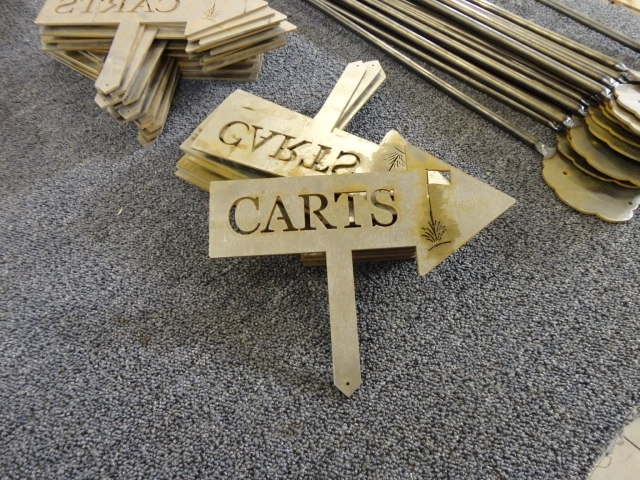 Custom Golf Course Signage is a must for a professional and high-end look. 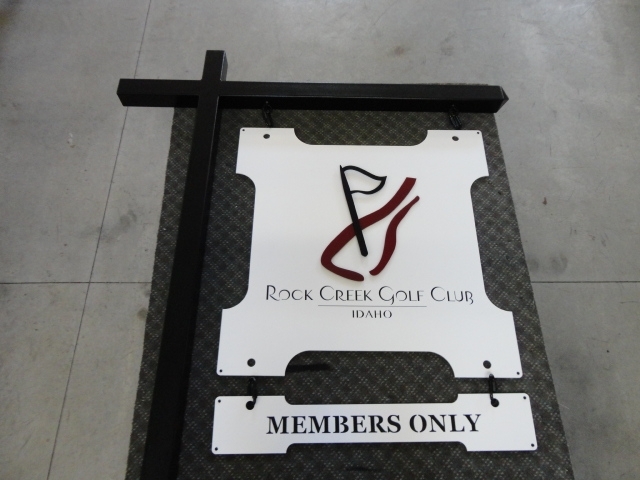 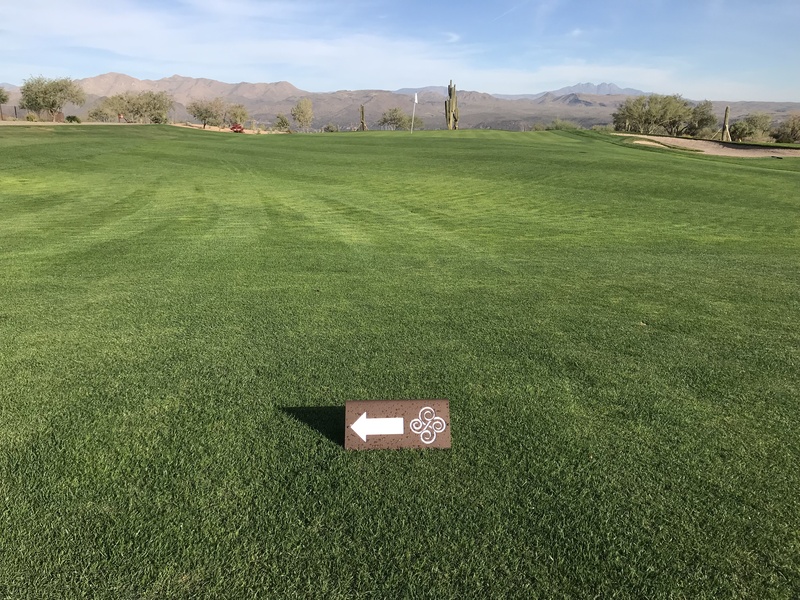 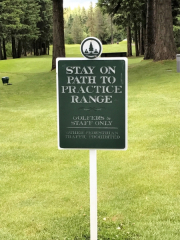 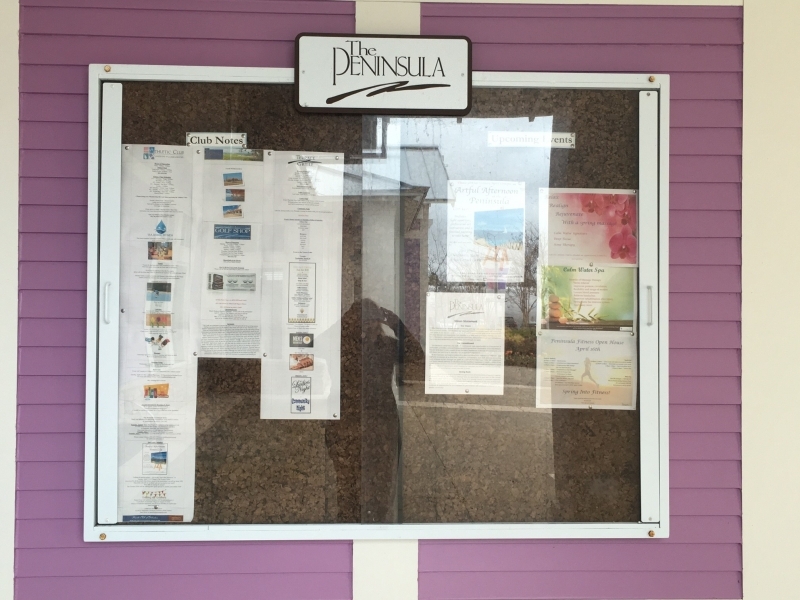 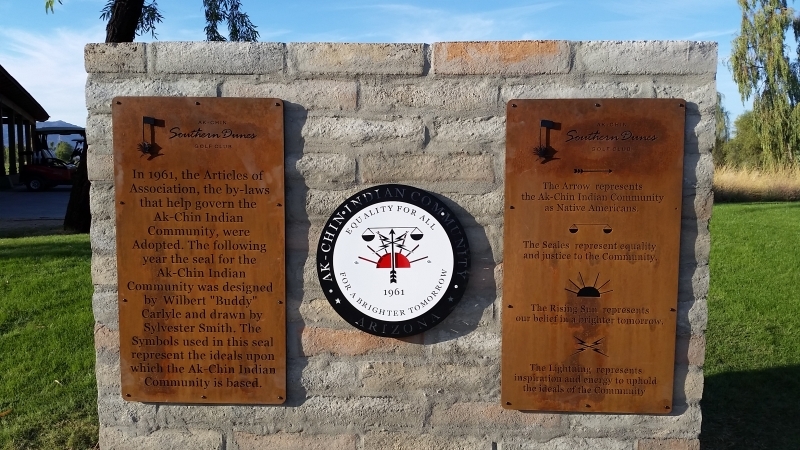 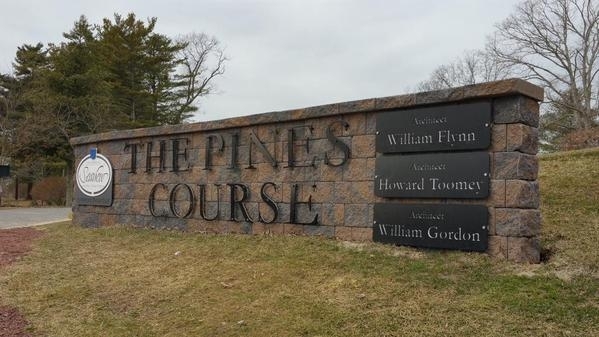 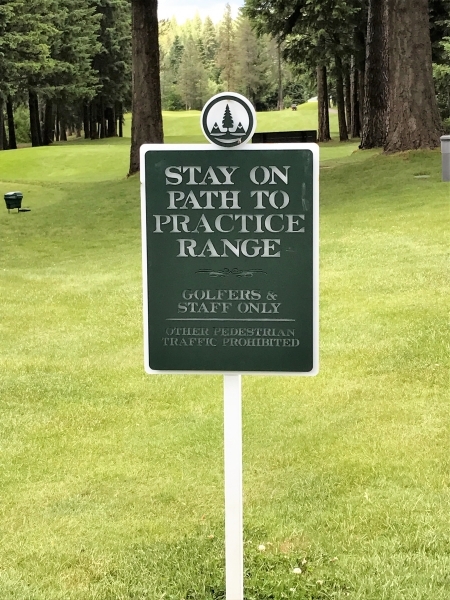 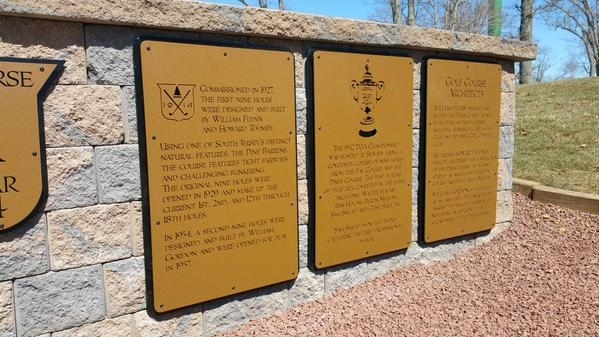 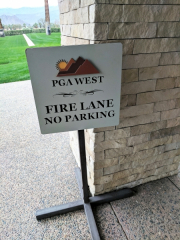 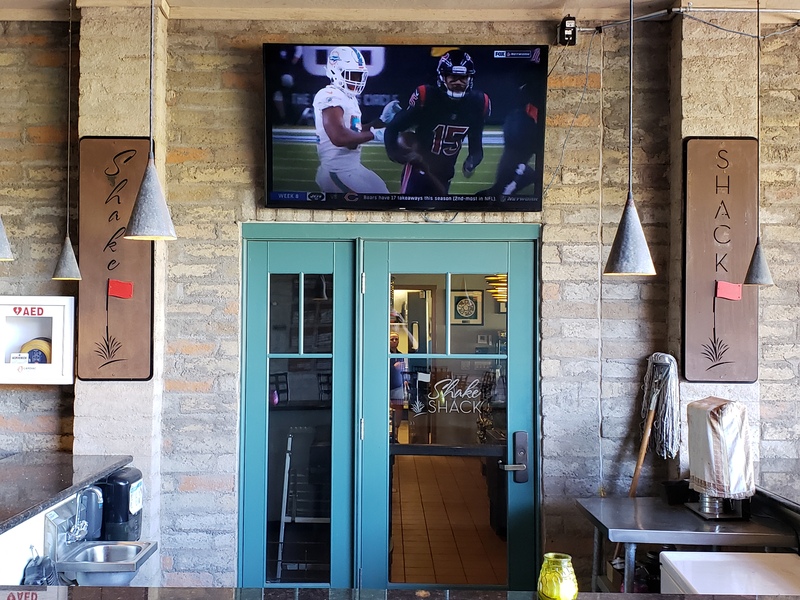 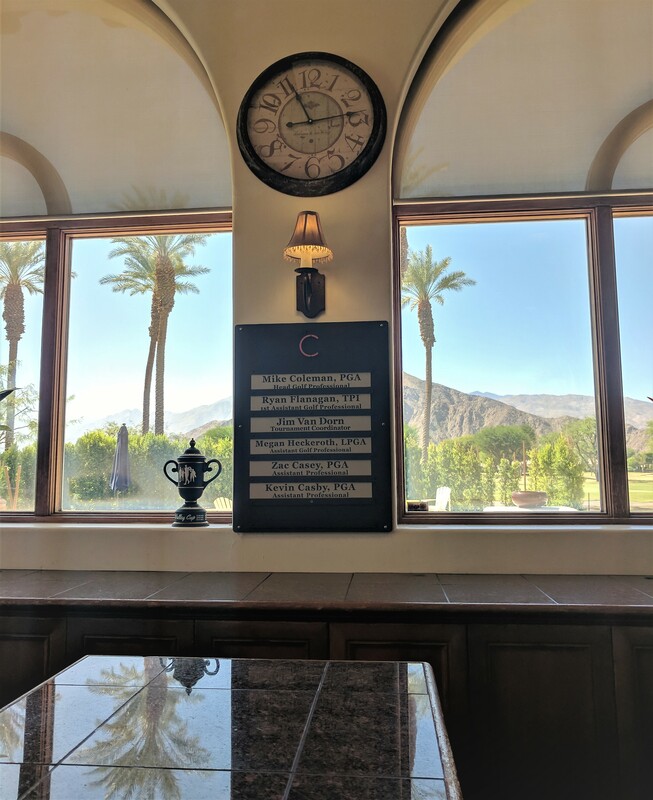 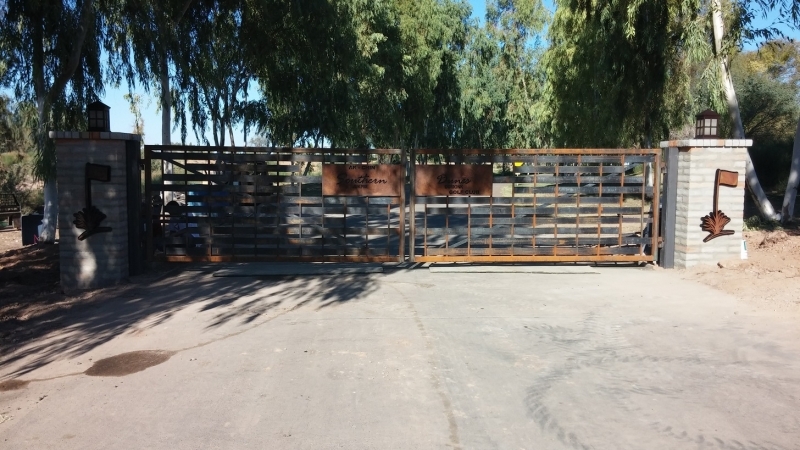 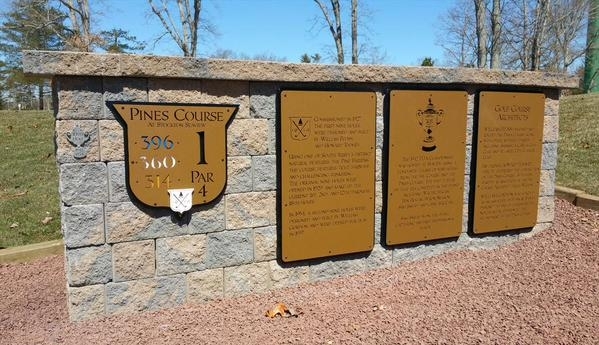 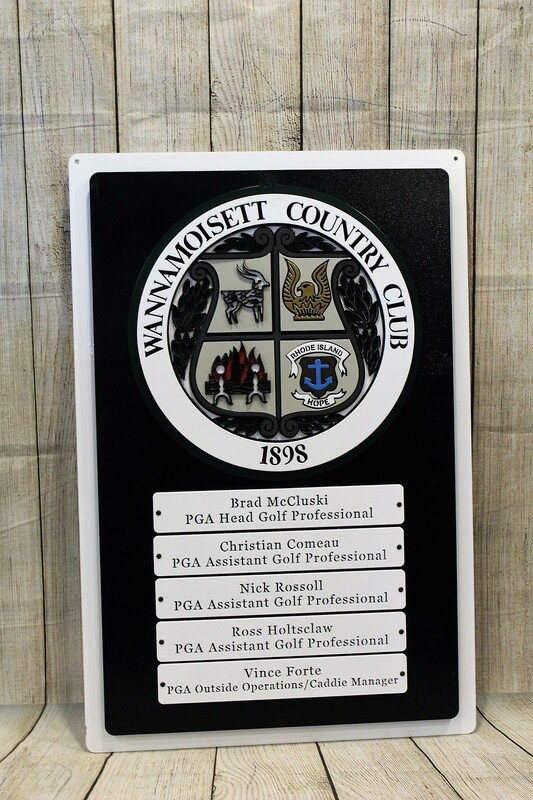 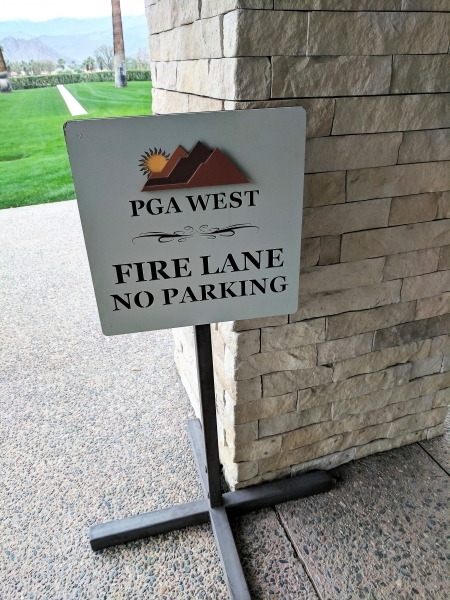 RHI makes beautiful and long-lasting signs at affordable prices that give an instant upgrade to your presentation value at your private golf course. 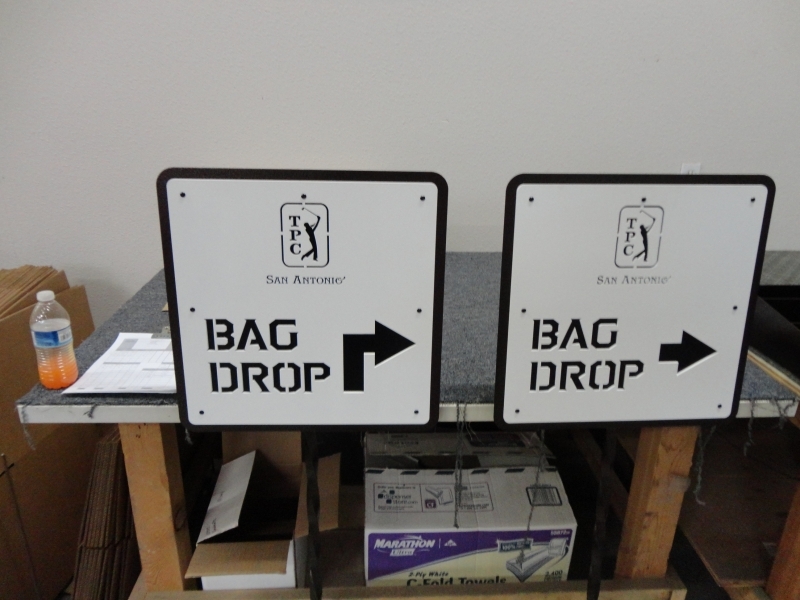 Our signs are typically aluminum plates attached to steel frames, and powder coated for an impressive and durable look. 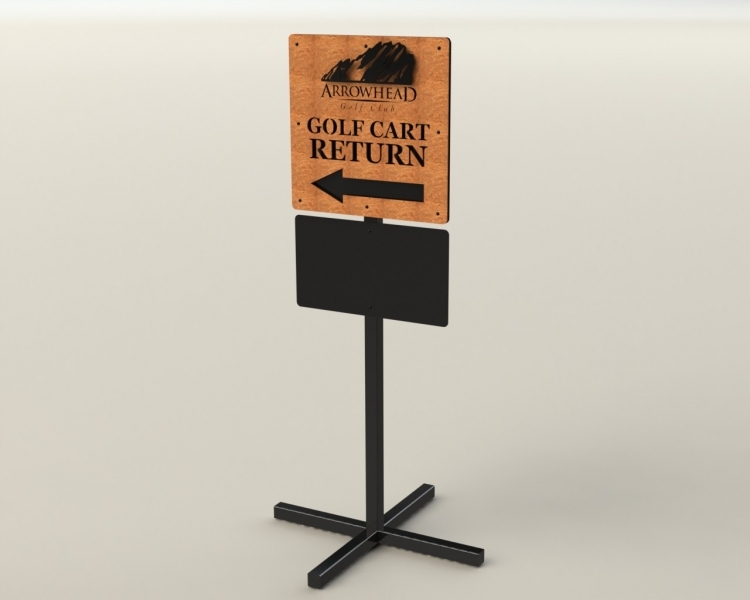 They can go on poles which can then be easily inserted into sleeves embedded in the ground, or they can slide onto individual stands that can be moved to any location you need. 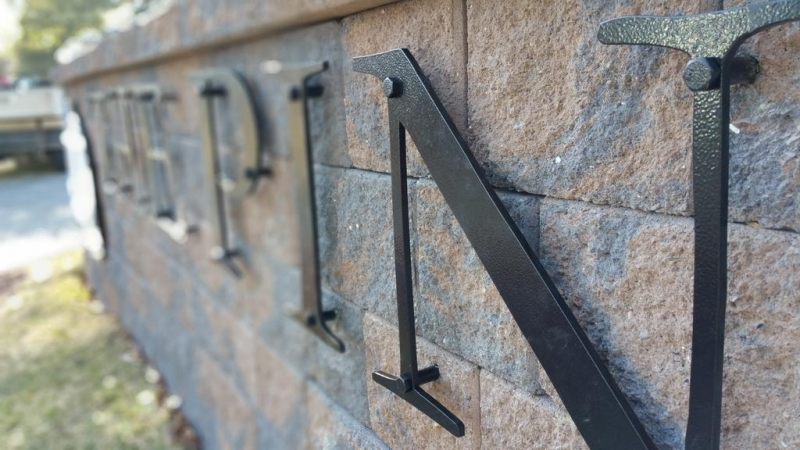 Others might just be screwed directly onto a wall or other existing fixture/rock. 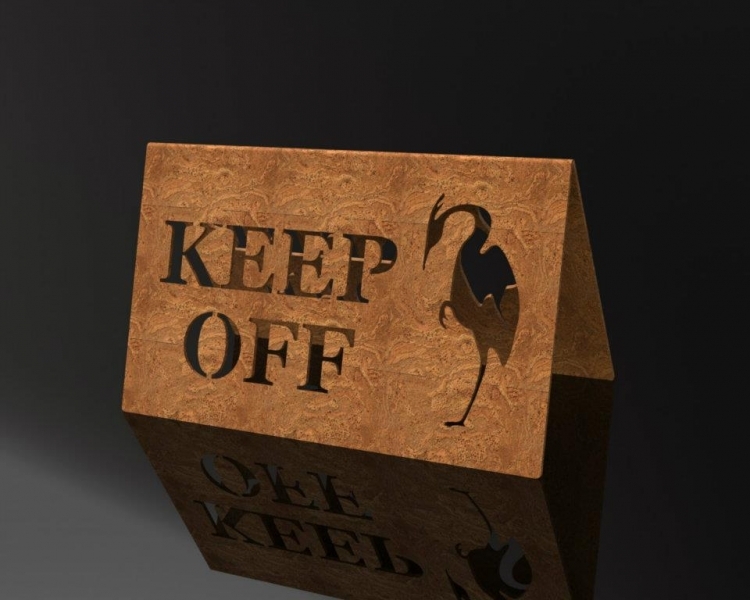 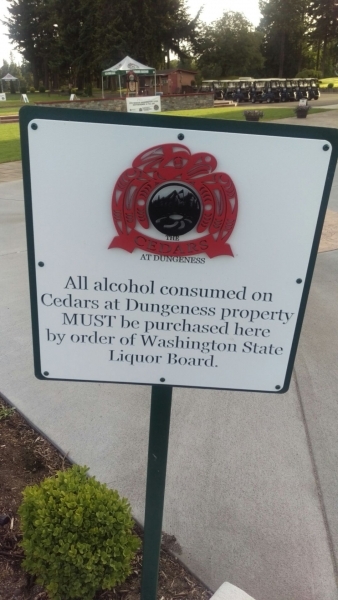 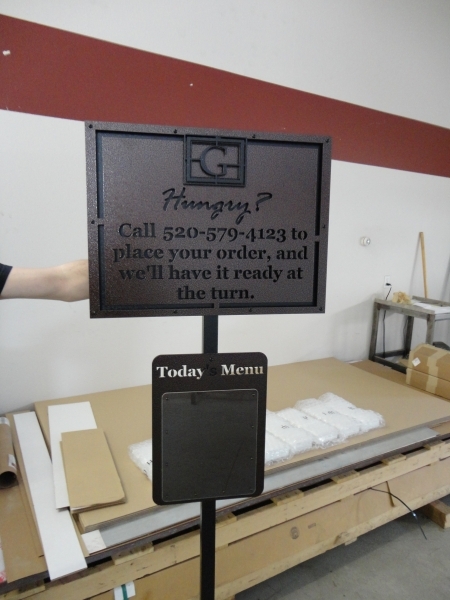 All signs can be endlessly customized to any purpose and look you need.